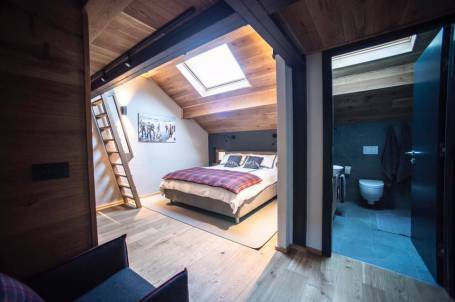 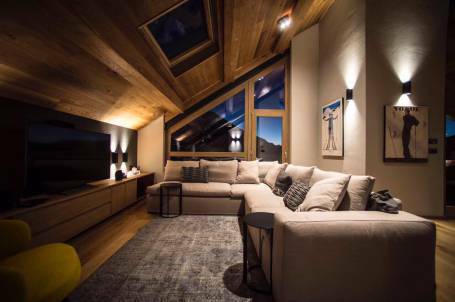 Chalet Panoramique is a luxury chalet in Montgenevre on a prime mountain location. 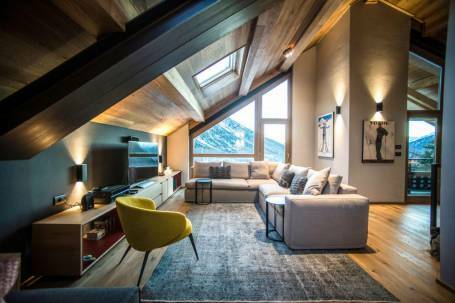 Although not ski in ski out, it is within walking distance from the main lift area and ski schools. 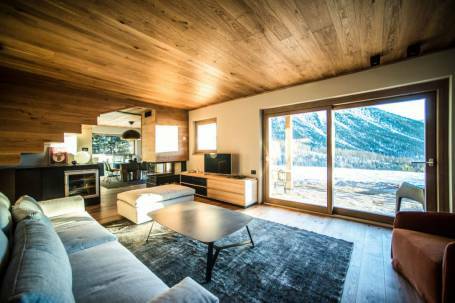 Newly reconstructed, this modern chalet is finished with natural materials and its tall windows display spectacular panoramic views from all floors. 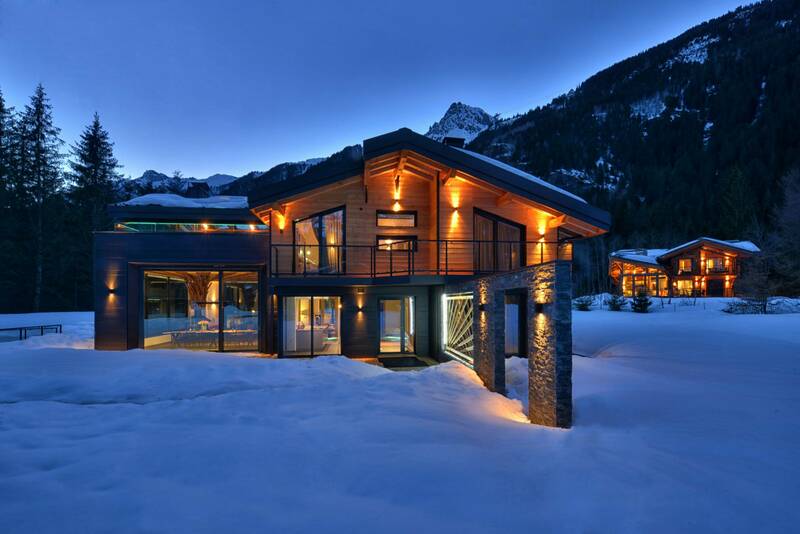 The chalet can be rented as one whole residence with 8 bedrooms and 8 ensuite bathrooms. 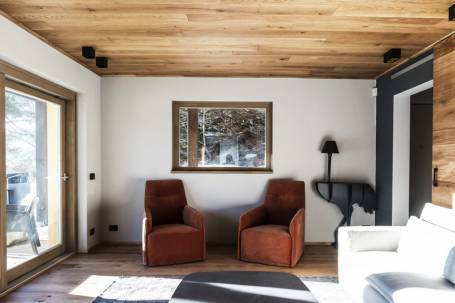 Otherwise, the chalet can be divided into two independent apartments (4 bedrooms and 4 ensuite bathrooms each) which can be rented separately. 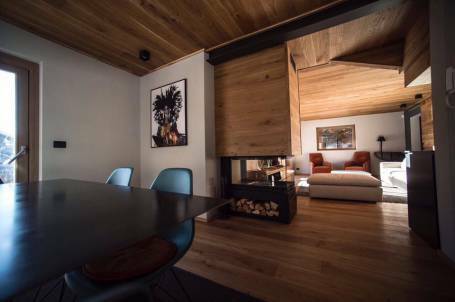 Each apartment has its own entrance, kitchen, ski room, and large living areas with fireplace.